Samsung is betting everything on the Galaxy Note 9 in a saturated market where all smartphones are more or less the same. 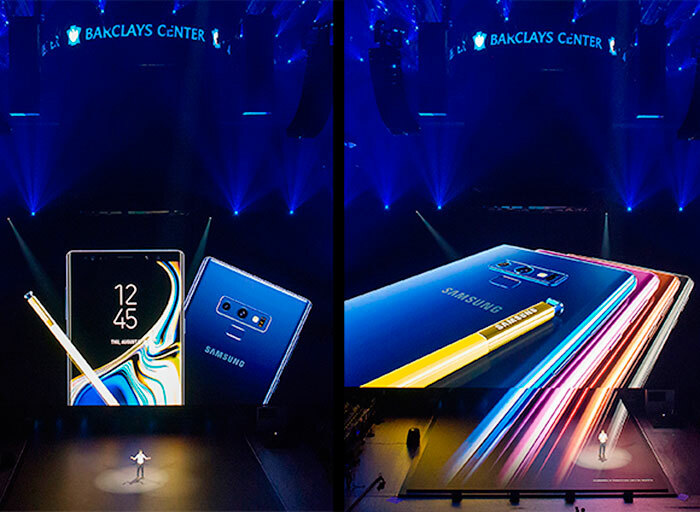 The Korean tech giant unveiled the phone in the U.S. on Thursday, showing off some marginal improvements like a high-capacity battery and memory space, remote-control stylus and a camera that fixes human errors. Pre-orders begin next Monday and the phone hits store shelves on Aug. 24. The release comes about two to three weeks earlier than its predecessor in order to deal with intensifying competition from Apple and Chinese rivals. The Galaxy Note 9 features a 6.4-inch screen, the largest ever in the series and achieved by minimizing the bezel and darkening the iris-recognition sensor on the front. It has a battery capacity of 4,000 mAh, 21 percent more than the Note 8, but is about 0.2 mm thicker as a result. Instead Samsung shaved off the edges to make it look thinner. The S Pen, which is a key feature of the Note series, now serves as a remote controller that operates the camera, making it easier to take selfies. Users can also replay video and record sound with it. The Note 9 utilizes AI functions to enable the camera to guess what is being photographed and checks if a photo has been taken properly. The AI software detects blurred images, bad lighting and stains on the lens. Samsung's smartphones fare poorly in China and India, and market watchers believe it will cede its No. 1 position to Huawei if the Galaxy Note 9 also tanks. "Sales of the Galaxy Note 9 could have a huge impact on the global smartphone market in the second half of this year," a market insider said. "At stake is how much global market share Samsung is able to grab before the new iPhone is released in September."